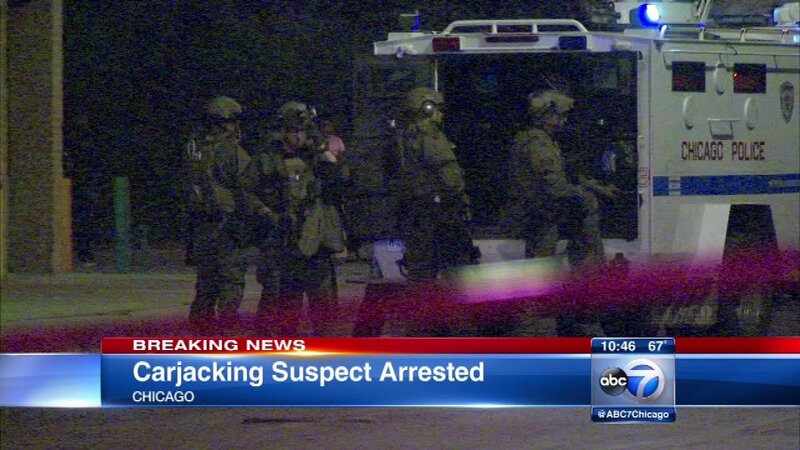 CHICAGO (WLS) -- After a brief standoff with police Saturday night in Chicago, an 18-year-old was arrested in connection with the carjacking of an off-duty Illinois State Police trooper, according to Cicero police. On Monday, the trooper's personal vehicle, with her personal weapon inside, were taken by three men in Cicero, police said. Two of the offenders were nabbed in a foot pursuit, but the third got away. The third offender was tracked Saturday night to a home in the 4200-block of West 16th Street in the city's Lawndale neighborhood. Cicero police, along with state police and Chicago police, surrounded the home for about an hour before the offender surrendered to police, police said. The gun and vehicle were recovered.